What Does Chiropractic Care Actually Do? With 65 million Americans suffering from low back pain in 2016, it is no wonder that chiropractic care is becoming more popular around the world. It is proven to reduce pain, increase flexibility, and improve quality of life. This can also lead to financial savings by avoiding costly pain medications or treatment by traditional medical professionals. But what does Chiropractic care actually do and how does it improve your body? Chiropractic care typically utilizes a manual spinal manipulation technique developed over 100 years ago. Since then, the process has been refined to achieve maximum results, while maintaining the safety of the patient. The goal of any chiropractor is to improve their alignment, get it into its natural state, and restore function. Many chiropractors, like Dr. Reinhardt, will also assess the alignment of your extremities such as the shoulders, wrists, hips, legs, and feet. Your body functions as a whole so all areas must be in alignment for long lasting relief. 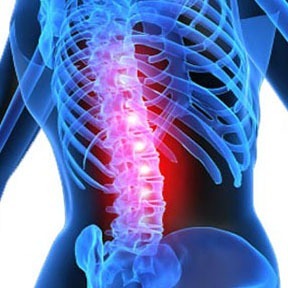 The theory of spinal manipulation is that a properly aligned spine allows the body to heal and correct itself of pain without the need for medication or surgery. Chiropractic care is most commonly used for pain relief in the muscles, joints, bones, and connective tissues. With many of these types of injuries or traumas, the spine can be out of alignment and there may be damage to tissues (muscles, tendons, ligaments, etc.). Manual manipulation can help realign the spine and allow your body to heal itself faster; ultimately, resulting in less pain and more mobility over time. How are Chiropractic Treatments Performed? After taking a full medical history and possibly X-rays, your chiropractor will evaluate your condition to determine the proper treatment schedule. Your chiropractor will start with an examination consisting of orthopedic and neurologic testing to assess the source of your symptoms. Often, you will be asked to demonstrate your flexibility and strength. These tests will be able to determine the safety of possible treatments, where the issues are in your body, and what steps will be needed to improve it. Once your plan for care is determined, your chiropractor typically will adjust the spine and other areas of the body as needed. These techniques are typically performed with the patient lying down on their back, stomach, or side. Your chiropractor will ask you to fully exhale, empty your lungs of air, and at the same time, press or twist your body in a specific way to improve any restrictions. Cracks and pops are normal to hear and feel during this procedure. Manipulation of the spine can come in multiple forms from deep tissue therapy to the use of a spinal decompression machine. Your chiropractor may also use traction tables that gently bend and stretch the spine to relieve back pain and encourage tissue healing. A good Chiropractor might adjust and manipulate your body. A better one will help you through physical therapy. Physical therapy involves stretches and exercises that target key muscle groups and joints that need strengthening to aid in the alleviation of pain and promotion of healing. The most common form of physical therapies for the back focus on strengthening the core muscles that surround and support the spine. Strengthening these muscles will also help prevent relapses of pain in the future. A great chiropractor, like Dr. Graham Reinhardt, will also provide additional therapies to help aid your recovery. Massage therapy helps to relax your body and muscles while releasing toxins to promote better blood flow and flexibility. Electric stimulation may also be used to target specific areas with small electric pulses which gently activate and loosen muscles surrounding the affected pain area. Clinical Nutrition aids in reducing inflammation throughout the body, allowing it to free more energy during the rehabilitation phase of treatment. And, acupuncture uses centuries old techniques to improve flexibility and reduce inflammation and pain. The biggest reason to choose chiropractic care is that it simply works. It is a natural way to heal your body without prescription pain medication or surgery. Additionally, the cost of chiropractic care is significantly less than that of a medical doctor or specialist. And, more and more insurance companies are covering chiropractic care making it very affordable. Chiropractic care can also be a long-term solution for those with more chronic back or neck pain. All too often, a medical doctor or specialist will medicate or suggest surgery. With chiropractic care, you have the opportunity to help your body heal naturally without the risks of invasive surgery. Our services, atmosphere, and staff at Reinhardt Chiropractic truly make it a unique chiropractic experience and unlike many others. We are skilled and ready to treat any of your pain(s) or injuries with natural healing methods that will not only make you feel better now but also set you up for a healthy future. Next time you’re in need of a local Denver chiropractor, stop by or call Reinhardt Chiropractic for the personalized care you deserve.